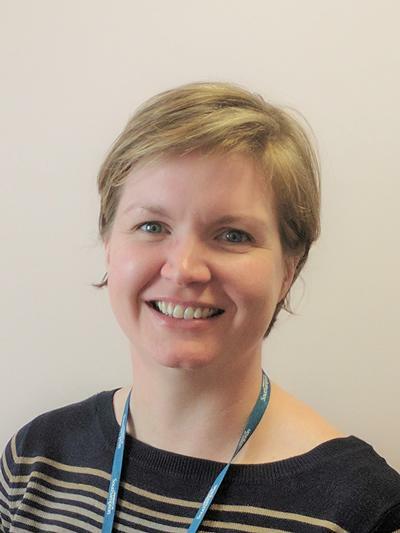 Dr Caroline Childs is Lecturer in Nutritional Sciences within Medicine at the University of Southampton. Dr Caroline Childs academic career has been focused on Nutritional Sciences since her graduation with a BSc (Hons) Nutritional Sciences (1st class) from the University of Southampton. Dr Childs’ PhD research on “The effect of gender, pregnancy and diet upon tissue fatty acid composition and immune function” was followed by two postdoctoral nutrition research projects in the Department of Food and Nutritional Sciences, University of Reading. In 2010 Dr Childs was named as one of the top three young investigators in Lipids and Nutrition at the International Society for the Study of Fatty acids and Lipids conference. In parallel to her postdoctoral research, Dr Childs developed her technical expertise in flow cytometry, significantly contributing to the development of flow cytometry facilities at the University of Reading, and accepting a role as specialist advisor to the Food Standards Agency on the conduct and interpretation of analytical flow cytometry. In 2016 Dr Childs was appointed as Lecturer in Nutritional Sciences, a post which combines research with teaching. Her teaching responsibilities include lecturing on nutrition and biochemistry to students within both the Faculty of Medicine and Medical and Biological Sciences. Dr Childs supervises MSc and PhD student projects. Dr Childs’ research to date has focused upon nutrients including dietary fatty acids, probiotics, and prebiotics, and has assessed the effect of nutrient interventions on outcomes including tissue composition, immune function, inflammatory status, immunosenescence, and the gut microbiota. Dr Childs’ has a keen interest in methodological development, and is passionate about ensuring that nutrition research is conducted using the most appropriate and up-to-date laboratory approaches. In addition to her teaching and research responsibilities, Dr Childs is an academic integrity officer for the Faculty of Medicine and staff engagement champion for Human Development and Health. Dr Childs is a Nutrition Society Ambassador for the University of Southampton, and is currently the South East Regional Representative for the Association for Nutrition. Dr Childs is Associate Editor on the Editorial Board of Nutritional Immunology, a specialty of Frontiers in Immunology and Nutrition, and an Editorial Board member of The Journal of Nutrition. Dr Childs research to date has encompassed the role that dietary fatty acids, probiotics and prebiotics have upon outcomes including tissue composition, immune function, inflammatory status, immunosenescence, and the gut microbiota. Dr Childs’ current research aims are to characterise the role of lipids, probiotics and prebiotics on immune, gut and neurological outcomes. Sphingolipids: these lipids comprise around 5% of the lipids in human plasma, the vast majority of which is in the form of sphingomyelin. Dr Childs is working to develop a method which allows the isolation, quantification and fatty acid analysis of sphingomyelin in plasma and SaOS-2 osteoblasts. Oligosaccharides: Dr Childs is supervising a PhD studentship to investigate the effect of 5 different galactose- based oligosaccharides (GOS) on the function of peripheral immune cells including mucosal-associated invariant T (MAIT) cells. Specialist advisor on the conduct and interpretation of analytical flow cytometry, Food Standards Agency. South East regional representative for the Association for Nutrition. Nutrition Society Ambassador at the University of Southampton. Guest lecturer at the University of Surrey, University of Hertfordshire. Associate Editor, Frontiers in Immunology and Nutrition. Editorial Board member, The Journal of Nutrition. Daud, NM., Ismail, NA., Thomas, EL., Fitzpatrick, JA., Swann, JA., Costabile, A., ... Frost, G. S. (2014). The impact of oligofructose on stimulation of gut hormones, appetite regulation, and adiposity. Obesity, 22, 1430-1438. Fisk, H. L., West, A. L., Childs, C., Burdge, G., & Calder, P. (2014). The use of gas chromatography to analyse compositional changes of fatty acids in rat liver tissue during pregnancy. Journal of Visualized Experiments, e51445-e51445. Maneerat, S., Lehtinen, M. J., Childs, C., Forssten, S. D., Alhoniemi, E., Tiphaine, M., ... Rastall, R. A. (2013). Consumption of Bifidobacterium lactis Bi-07 by healthy elderly adults enhances ex-vivo phagocytic activity of mono- and granulocytes. Journal of Nutritional Science, 2, e44. Phillips, M. A., Childs, C., Calder, P., & Rogers, P. J. (2012). Lower omega-3 fatty acid intake and status are associated with poorer cognitive function in older age: a comparison of individuals with and without cognitive impairment and AD. Nutritional Neuroscience, 86, 271-277. Childs, C. E. (2018). Prebiotics, probiotics and response to vaccination. In P. Calder, & A. Kulkarni (Eds. ), Nutrition, Immunity and Infection (pp. 125-144). Boca Raton, FL: Taylor & Francis (CRC). Childs, C., & Calder, P. (2014). Dietary omega-3 sources during pregnancy and the developing brain: lessons from studies in rats. In Watson, & De Meester (Eds. ), Omega 3 fatty acids in brain and neurological health. (pp. 283-298). Elsevier. Maidens, C., Childs, C., Przemska-Kosicka, A., Bin Dayel, I., & Yaqoob, P. (2012). Modulation of vaccine response by concomitant probiotic administration. British Journal of Clinical Pharmacology, 75, 663–670. (2016) Faith Nhemachena: A secondary data analysis of the influence of exposure to mass media and use of information and communications technology on HIV comprehensive knowledge and testing behaviour, in women in Zimbabwe. Supervisors: Dr Caroline Childs and Professor Marie-Louise Newell. (2017) Romeo Toriro: Comparing the PTSD prevalence amongst the United Kingdom, United States of America, Canadian and Australian Armed Forces between 2001 and 2016: a systematic review. Supervisors: Dr Caroline Childs and Dr Nick Maguire.